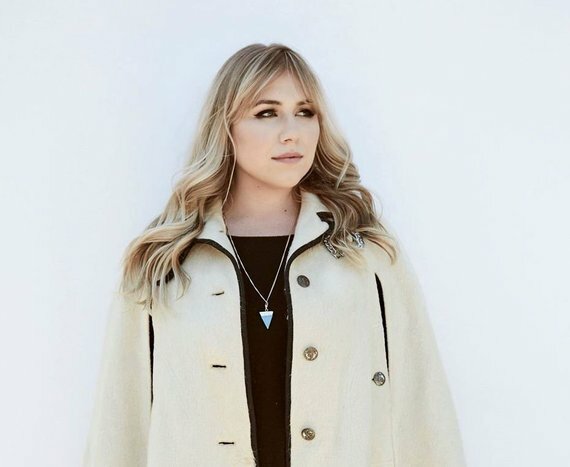 Rising Pop Star Jessica Rotter Releases Debut Album, "Plains"
Jessica Rotter just may be the pop star we never knew we needed. Her emotional transparency in lyricism in her songwriting are merely small testaments to the truly beautiful spirit of her music. Granddaughter to the man who wrote songs for Frank Sinatra and Dean Martin, Johnny Rotella, Rotter has always known to take refuge in music. She emerges from an exciting background of collaborations, supporting vocals, and many other inspired undertakings; the list of artists she's worked with reads like a who's who of the music industry today: Daft Punk, Carole King, Alicia Keys, Sam Smith, Macklemore & Ryan Lewis, among others. Moreover, Rotter's voice has been heard across multiple genres, from movies (lending herself to beloved's like Frozen and Pitch Perfect 2), to TV shows, and commercials. In an exciting transition from shared stage to self, Rotter continues to break beyond creative boundaries with her new music video by defying what's expected of the modern female artist- blurring the lines and standards of what we all know so well to be 'pop'. Featuring Clayton Snyder (best known as Lizzie McGuire heartthrob, Ethan Craft), her newest music video is nostalgic to Los Angeles' iconic landmarks and the moments we spend with the ones we love most. The prismatic video takes you on a day trip with crossed-lovers under the sunny, blue California sky, through some of LA's most admired city streets. Since charting #1 on Hype Machine with the mash-up she performed of Rihanna's "Stay" and Miike Snow's "Animal", "Pray For Rain" is arguably Rotters' greatest visionary achievement. The song is the leading single off of her upcoming full length album, Plains. Produced by Cazz Brindis and mixed by Scott M. Smith (Carole King, John Mayer, Katy Perry), the 11 track record is breathtaking and quite cinematic. Most uniquely, Plains is organically raw, allowing the listener to hear breath in every track, a rarity in today's over produced musical landscape. Though Pray For Rain was perceptibly described by Rotter as "[inspired by the] wrestling with falling in love in uncertain times, lost times and times of revelation", between the undeniable undertones of hope within the roaming bass, the unwavering fluidity of sound-scaping strings, and the warmth of her voice, the message quickly shifts from something of sadness to an affirmation of the inevitable growth we all face and can relate to when fully in love. Follow rising star Jessica Rotter on Twitter & Facebook.